Can I delete songs I've uploaded? Can I edit my songs? Who can record with my songs? I'm a blue member, can I upload songs? Can I upload songs from the app? Can I view all songbook songs in one place? 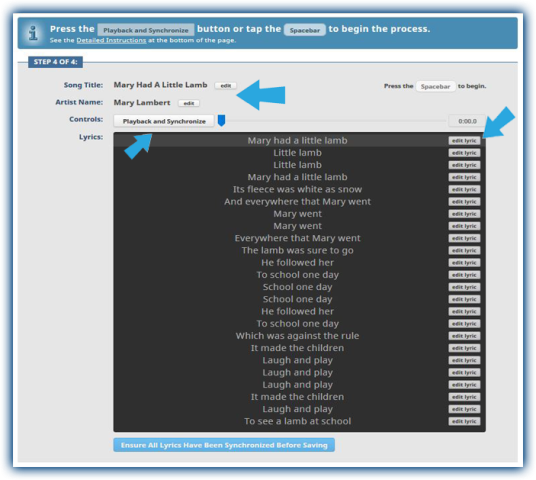 The Community Songbook feature allows you to select an audio track, enter the lyrics, sync the two and upload your finished Karaoke track for recording. Click on the Upload tab at the top of the site, select your track, agree to the terms, and proceed to the next step. Enter the required details of the track. The more information you can provide, the better. Then proceed to the next step. Enter the lyrics and customize as desired. You can change the color, format, and/or create a duet. Once done proceed to the next step. Synchronize the lyrics to the music. 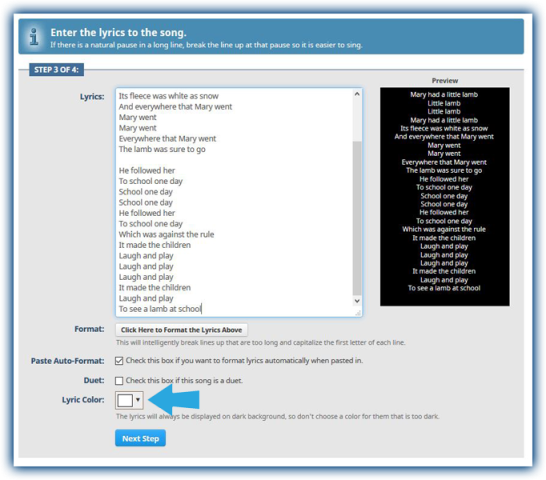 Scroll down below the lyrics sync tool for detailed instructions. Once you are satisfied click on the Save and Upload Song button. Wait for your song to process. This takes 5-10 minutes on average. The page will automatically refresh once the song has finished processing. Check out your new song by clicking on the title. 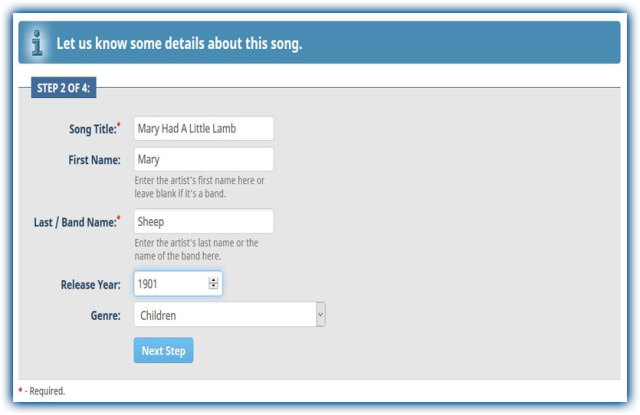 You can edit the song at any time from the Account --> Manage Songbook page. No, you cannot delete uploaded songs. However, if you'd like to ask for a song to be removed you can contact support and we'll review each request on a case by case basis. Yes, you can edit the song information, make minor changes to the lyrics, and re-sync lines or the entire song. This can be done from the Account --> Manage Songbook page. Songs are available for all Gold members to sing and record. Yes! You can upload songs and record the songs you upload. To record songs others have uploaded you would need to be Gold. No, the app doesn't currently support uploading. You can however upload from a computer via our website and then record with the songs on the app. No, songbook songs become part of our larger library. So you'd search for them like any other song we offer. You can however view newly added songbook songs from the Record --> New page.